In a medium size pot, bring about 4 cups of water to a boil. Reduce the heat to medium high, and add the tofu. Gently boil for 5 minutes. Carefully transfer the tofu to a colander to drain. Cut the tofu into two blocks. Cut each block into about 1/2-inch thick slices. Heat a large pan over medium high heat and add the kimchi and pork mix. Cook until the kimchi becomes soft, the pork is cooked through, and most of the liquid generated during the cooking process is evaporated, about 5 – 6 minutes. 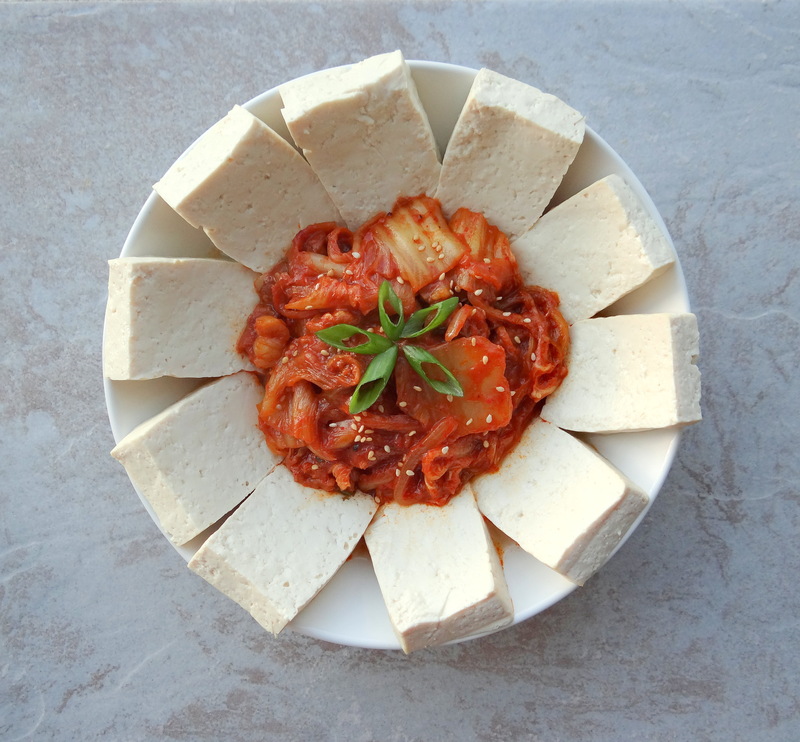 Arrange the tofu slices nicely on a plate leaving an open space in the middle part. Place the stir-fried kimchi and pork in the middle and serve.